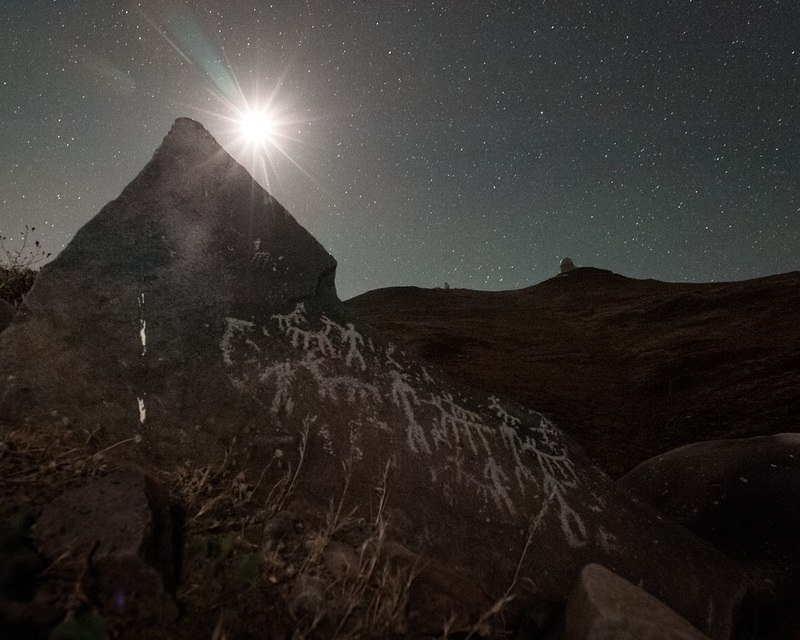 Modern science and the spectre of ancient man coexist in this thought-provoking image of a petroglyph near the site of ESO’s La Silla Observatory in Chile. A petroglyph is an ancient stone engraving, examples of which can be found scattered across the globe. 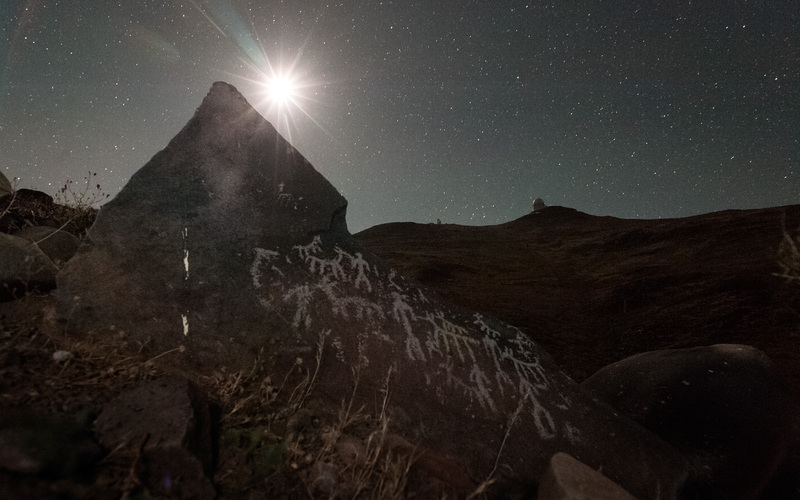 In some places they can date back as far as 40 000 BCE, but the one pictured here is much more recent. Upon the face of the stone, the images of men are depicted alongside llamas or other similar wild camelids. The native nomadic people of the Atacama Desert in Chile would have followed herds of these animals across the largely arid and inhospitable land before they adopted a sedentary culture, creating desert oases where they bred camelids. 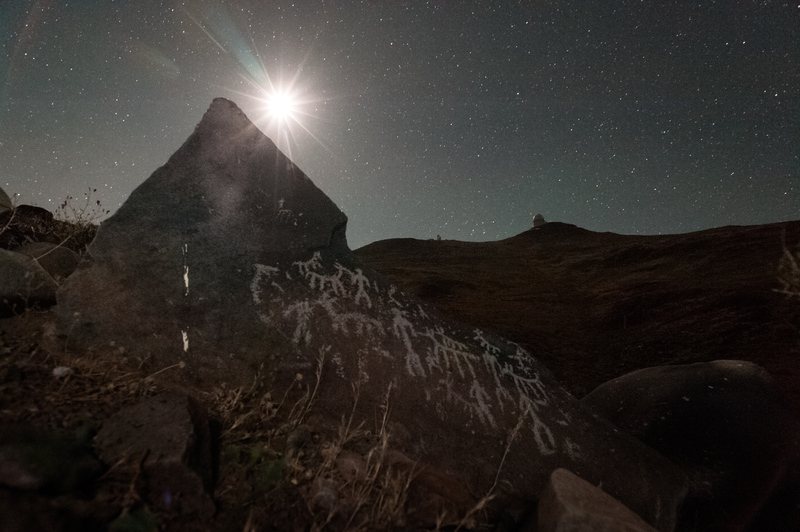 The pale glow of the stars over and beyond the mountain ridge and the silhouette of one of La Silla’s telescopes frame the passing of the centuries and the progress of humanity from prehistory to our modern age of space exploration.